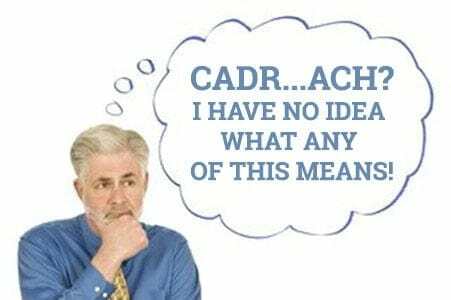 What Does CADR and ACH Mean? When you are choosing an air purifier, you come across several confusing abbreviations. One of them is CADR. CADR stands for Clean Air Delivery Rate. It is one of the most important air purifier parameters, which you should pay attention to. Please, spend some time going over the below information. It will help you choose a perfect air purifier for your needs. 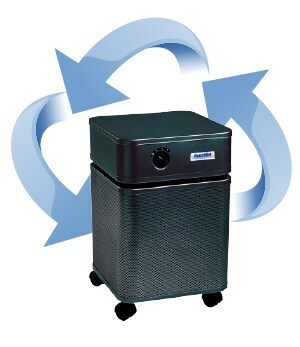 The Clean Air Delivery rate is the volume of clean air, an air purifier can produce in one minute. The higher the rate is, the better the air purifier works, and the bigger the area it can service. In order to get a CADR rating, an air purifier must be certified by an independent organization called the ‘Association of Home Appliance Manufacturers (AHAM)‘. The organization tests how well the air purifier takes care of the three main pollutants: tobacco smoke, dust, and pollen. That’s why each certified purifier has three CADR parameters. Most of the time they are similar or identical. The association also bases the testing on the suggested room size. If the CADR rating for smoke is 150, it means the smoke levels are decreased in exactly the same way as if 150 cubic feet of clean air was pumped into the room every minute. The higher the CADR rating, the cleaner the air in the room is. Important: AHAM rates only the portable air purifiers. If you are looking at the whole house air purification systems, you need to pay attention to other parameters. The CADR rating is one of the very few official ratings of your air purifier. No matter how good the HEPA or other filters are, it’s hard to rate the overall efficiency of the unit without testing it. 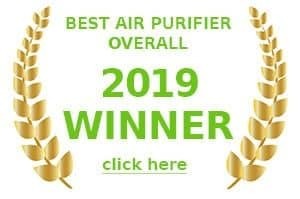 You can read through a million reviews online, as I have done, and still not get a complete picture of how efficient an air purifier is. AHAM has done the job for you. It did the testing to find out the efficiency of many air purifiers on the market. The second benefit of the AHAM certification is that it gives you an ability to calculate the room size a certain air purifier can service. Most of the manufacturers have a suggested room size mentioned in the specs. However, they are often far away from the truth. Your best bet is not to rely on what the manufacturer, who is ready to say just about anything to sell you the product, tells you but to make the simple calculations yourself. An easy rule of thumb, when it comes to calculating the ideal room size, is to multiply the CADR rating by 1.55. Since there are three ratings and they might differ, I would recommend taking the lowest number. Therefore, if your air purifier has a CADR rating 150/145/150, your perfect room area will be 145 x 1.55 = about 225 square feet. Another way to use a CADR rating to calculate the perfect room size is to multiple it by 12. By multiplying the CADR rating by 12, you’ll get the ideal room volume in cubic feet. For example, the CADR rating is 150/145/150. Then the ideal room volume is 145 x 12 = 1740 cubic feet. Alternatively, you can take a smarter approach and calculate your room’s volume first. Let’s say it’s 15(length) x 12 (width) x 10 (height) = 1800 cubic feet.Then you divide this number by 12 and get the CADR rating you should be looking for. In this example, it’s 1800/12=150. An air purifier with a CADR of 150 or HIGHER will do a great job cleaning your 1800 cubic feet room. Important: The CADR rating you read on the label shows the Clean Air Delivery Rate at the HIGHEST fan setting. The lower you set your fan, the worse the CADR will be. This is especially important for people who are using air purifiers in the bedrooms and tend to set the fan to the lowest speed in order to avoid the noise. Accordingly, if you are purchasing an air purifier for a bedroom or a place where you are not planning to use high speeds, be ready for the unit to be less efficient. Your best bet is to get higher CADR-rated purifier for a smaller room. When people are starting to learn more and more details about the air purifiers, they come across another abbreviation – ACH. While it seems to be close to CADR, it’s actually quite different. Since I had trouble distinguishing between them when I first started reviewing air purifiers, I’d like for you to be as clear as possible about this matter. In fact, it’s very simple. Armed with both ACH and CADR explanations, you’ll be ready to conquer the world or air purifiers. ACH stands for Air Changes per Hour. Most of the people skip through this information. However, it can be important to making the right choice. ACH rating in the specs look like “x2”, “x3”, “x4”, etc. The number after the “x” shows how many times an air purifier can completely change the air in one room per hour. For example, if the ACH number is “x4”, the air purifier can change the air in one room 4 times per hour, i.e. every 15 minutes. When you start comparing two air purifiers and one of them has an ACH rating of “x2”, while another has “x4”, then the second one is a better choice. The more times an air purifier changes the air in your room, the better air quality you get. Let’s crunch the numbers, shall we? ACH rating can help you determine the ideal room size as good as a CADR rating can, if not better. Read the specs of the air purifier you have chosen and find the CFM number on it (oh, no! another abbreviation!). CFM – stands for Cubic Feet per Minute and shows you how much air (in cubic feet) goes through a certain space per minute. CFM x 60 (min per hour)/8 (average ceiling height in feet)/ACH=maximum square footage. In our case: 200×60/8/3= 500 square feet. 500 square feet is the maximum room size. However, if you use the same air purifier in the room, which is 250 square meters, then, according to the formula, the ACH rating will change from 3 to 6. The smaller the room you use the air purifier in, the faster the air will be changed. If you are an allergy sufferer, consider getting an air purifier with a ACH of 4 or higher. This minimum number is recommended by the American Society of Heating, Refrigerating and Air-Conditioning Engineers for using in the patient rooms at the hospitals. ACH x6 is used for intensive care units. If you are not an allergy sufferer and don’t have to deal with overly contaminated air, you can settle for x2 or x3. What If There is No CADR Rating? Not all purifiers you’ll be looking at will have a CADR rating. As I said earlier, in order to get a CADR rating, the manufacturer should go through AHAM certification. However, some of them refuse to go through the test. That’s why you might not find an AHAM seal with a CADR rating on each purifier you look at. The reason is simple. Certification is far from being cheap. Some manufacturers believe that it’s not worth spending money on since an average user has no idea what a CADR rating is anyway. When you find an air purifier without a CADR rating, don’t immediately cross it off your list. Yes, the CADR rating is preferable, but the absence of such doesn’t mean that the air purifier is low in quality. There are many other factors you can rely on when choosing the air purifier, such as ACH, HEPA filter type, additional features, cost, manufacturer reputation, and more. CADR is far from being a sole parameter. Now that you know all there is to know about CADR rating and other abbreviations, that you come across when choosing the air purifier, you are well armed to go out there and get the best unit for your needs. Good luck!